As it is designed for group meals, they have spacious tables with plenty of chairs. Their Korean buffet caters about 30 different dishes and plenty of meat choices for grilling. 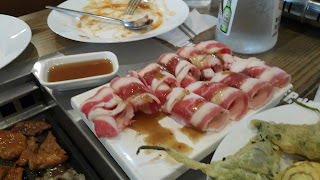 I am surprised that they also served squid. 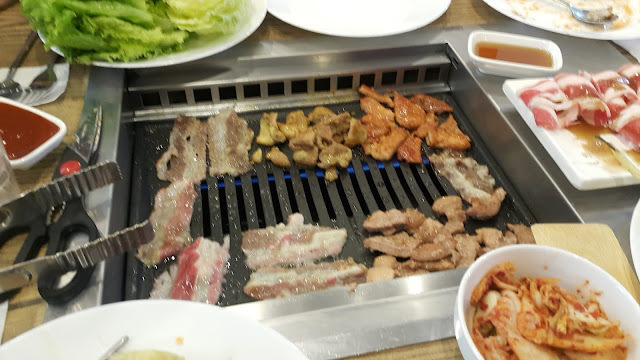 Our team had a nice chat during the get together and of course, let's not forget to create ssam (a way of wrapping meat on a piece of leaf together with rice and sauce.) If you'd like to try and taste everything on their menu, you might need to comeback about 5 times or more because they have vast choices! 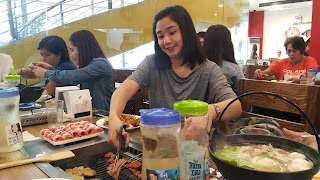 They have quite a number of choices for samgyupsal flavors and we tried it all! 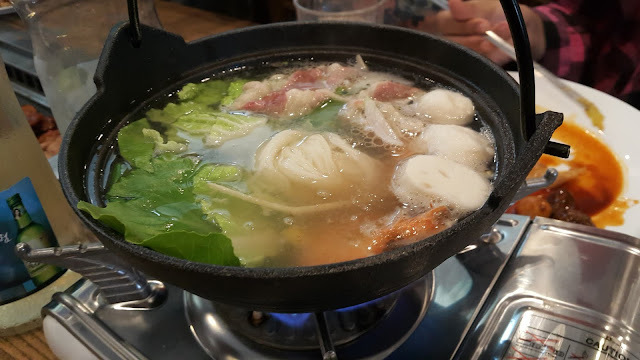 It's barely my first time to see shabu shabu in a Korean buffet and I have to admit that the taste is pretty nice. 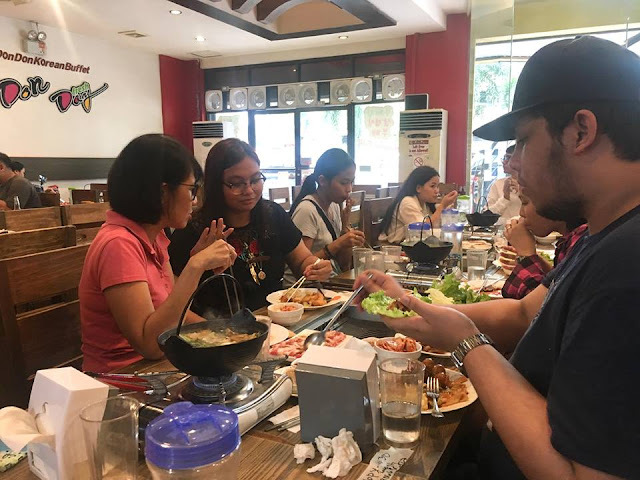 It might not be as competitive as the other shabu shabu restaurants but we need to consider that this is a Korean buffet and it's not their main dish. 1. If you are coming with a team, try to reserve slots especially when its weekends because they have plenty of customers. 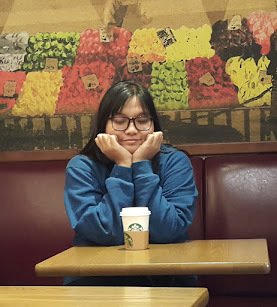 It only costs less than 500 peso so for the experience and taste, it's already worth it. 2. 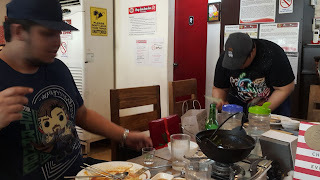 You may also enjoy their pastas and Filipino food! I also like their carbonara and their donkatsu!